After The Ultimate Fan Guide to Metallica Amp Settings, we decided to take it a step further and show how the average musician can get that trademark Metallica sound with gear you may already own, or is available at a price you don’t need to be a rock star to afford. 3.1. ROCKING THE BARGAIN RIG! 3.3. OWN THE STAGE WITH THE TRIBUTE RIG! At this point, Metallica’s career has spanned over 35 years, a significant accomplishment for any band, but for them it’s so much more special because throughout that span they’ve never allowed their sound to go stale, and they continue to evolve musically. That does pose a challenge to us, however, in choosing a rig that faithfully captures all of Metallica’s signature sounds. To crack this nut, it makes sense to take three identifiable periods in the evolution of their career and try to match the gear to get tones that faithfully emulate all periods. The first period is what we’ll call the Cliff Burton period which runs from 1980-1987. Metallica’s tone at that time was very bottom heavy, with scooped – almost zero – mids, perfect for the speed/thrash metal that characterized Metallica’s early sound. We’re talking Jump in the Fire, Ride the Lightning and Master of Puppets, etc. The second period is, for lack of a better term, the Jason Newsted era, extending from 1988-2005. This was a long and prolific era for the band – if not without controversy. It was during this period that the band, still recovering from the tragic death of bassist Cliff Burton, resolved to experiment more and move into more a progressive musical direction while not completely abandoning the thrash sound that they had helped popularize. Equipment and amp settings were not set in stone, and varied depending on the feel of a particular album or song. Some of the songs that are best representative of this period are: One, The Unforgiven, Hero of the Day and I Disappear. The final period, the Contemporary period, covers the departure of Newsted and hiring of Robert Trujillo 2006-present. These years represent a real maturation in the sound of Metallica, a real willingness to take creative risks and an evolution in the way they think about gear, moving towards a more basic and stripped down setup, a trend that seems to becoming more prevalent amongst metal musicians. Representative of this evolution are numbers like: The Day That Never Comes, The Unforgiven III, When a Blind Man Cries and Remember Tomorrow. As with the decision to break the Metallica tone into three distinct periods, we decided to set some parameters around price. It’s obvious not everyone can run out and buy the same equipment as Metallica has, so the reasoning is that by breaking it down by price points we should be able to come up with rigs for everyone from the novice who’s just getting started to the touring group interested in putting together a Metallica tribute act. The first rig is the Bargain Rig. For the beginner just starting out or the budget conscious consumer who is limited to less than $600, we can put together a very nice rig that will allow you to be a garage or basement James Hetfield or Kirk Hammett. All of the equipment is high quality and you aren’t likely to be disappointed with any of the choices even if you decide to move in another direction musically. For those willing to spend a little more, $600-$1000 for an Intermediate Rig can get you even closer to that goal of replicating Metallica’s monster tone. A good tube amp and guitar, along with a few pedals and of course your own talent, can get you pretty close to James’ or Kirk’s signature sound. For over $1000, the sky is truly the limit, but we’ll keep it realistic. The total cost of a rack of equipment and a half dozen axes obviously could run into the tens of thousands of dollars, but we’ll keep it down to just one guitar for James’ sound and one for Kirk’s, a tube amp for each and a few pedals for an overall cost of no more than $2500. We’ll call that our Tribute Rig. The main consideration in replicating Metallica’s tone is coming up with the right guitar and amp combo since that forms the basis of the tone. It would be nice for the guitars to look similar to what James and Kirk use, but that is not our main focus. Of more importance is finding guitars with pickups – preferably active pickups – that have a high-output to give the sound the “oomph” needed for that heavy sound the band is famous for. Let's see some outstanding pickups for metal..
It’s also important for Kirk’s rig to include a guitar with a tremolo bridge system since many songs incorporate tremolo. Amplifiers should either be tube amps or solid state modeling amps that can emulate a Marshall (British) and/or Mesa Boogie amp/cabinet sound. Nothing wrong with starting small and for under $600, you can get a few very nice rigs that fit the bill. It should be noted that both James and Kirk have played guitars with active pickups since at least 1987, but guitars with active electronics are inherently more expensive than those with passive pickups. A good compromise is choosing guitars with high-output passive pickups like the pickups found on the guitars profiled below. The EC-100AT BLK has a Basswood Body with a Maple Neck and a Rosewood Fingerboard. This Les Paul style guitar is similar to James Hetfield’s ESP Eclipse guitars in appearance and sounds surprisingly good for the price. The two LH-150 pickups are very responsive and excellent for both clean and distorted metal sounds. You would be hard pressed to come up with a better choice in terms of both sound and appearance for under $300. Here is a demo of the EC100AT in action. Note: the narration of the video is in Russian, however, the video is an excellent demonstration of the capabilities of the guitar in both clean and overdriven modes. The Blackstar line of amplifiers has been getting rave reviews from just about everyone who’s tried them. This is a 20 watt modeling amplifier, so it comes with its own effects, saving you money. It comes with 6 channels with optional footswitch, allowing you to switch from clean to crunch – although for most Metallica tunes you’ll want to stick to the Bright Clean and OD1 (overdrive) or OD2 emulation settings. The 20 watts of power gives you enough oomph to be heard over the drums and bass. Reminiscent of Kirk Hammett’s MM-270 “Zorlac” and KH-202 guitar, minus the active pickups and skull fretboard inlays, the Vendetta XMT is a great guitar for someone on a budget. An interesting aspect of the Vendetta is that the body is made of Paulownia, a tree native to East Asia and similar in weight and durability to poplar, meaning that it is lightweight and well-balanced. It also features a Dean Fender-style tremolo bridge meaning you can replicate all of Kirk’s dive-bombing riffs. Here is a demo of the Vendetta MXT showing how well it can do Metallica riffs. Note: the Vendetta model shown in this video is the exact same model as the XMT without the tremolo. The VT20 made our list of top modeling amplifiers, and is a great choice as a low-cost, high-quality amp. This little amp models 11 different amplifiers including the Marshall and Mesa amps (Brit 800 and Brit or MKII settings) that both James and Kirk used up until recently. It features a footswitch and 13 onboard effects. This is the perfect amp to go with this setup. Here is a great demo of the Vox VT20 and VT40 amps showing their metal prowess. Naturally you’ll need a wah pedal and the V-845 is a great choice. It’s one of the lower priced name brand pedals on the market and features smooth, clean swells. It’s also known for great durability so isn’t prone to damage if it gets kicked around some. Watch a great cover of Metallica’s Enter Sandman and see the V845 in action below. With a little more flexibility in price, we can start looking at guitars that offer active pickups that more accurately replicate the Metallica sound. We can also afford to upgrade the amps from the 20 watt range into ones that will carry a little more punch. If you are willing to overlook the fact that this doesn’t look quite like anything James plays on stage, you really can’t do any better than the Damien Elite. This guitar is perfect for metal, featuring EMG 81/85 active pickups and the same TOM bridge that James uses on his custom built ESP guitars today. Not only is it a great guitar, but for under $430, it leaves a little more wiggle room for a nice amp and effects. This video shows the Damien Elite Solo being put through its paces as a heavy metal machine. OK, so I could have gone with a tube amp here like the Bugera V-22, but the BOSS Katana modeling amp just blows them all out of the water. It is a solid state amp, but the sound is just amazing and the reviews are outstanding. With a heart-pounding 100 watts, this amp has more than enough power to cut through anything. If you crank it, it will definitely annoy the neighbors. It has a total of 5 amp emulations and 58 – yes you read that right – total effects. The clean and lead amp type settings are best for Metallica’s tone, and with the built in effects, there is no Metallica tone you can’t capture. All this for $350. If you are a guitarist and a big Metallica fan, you’ll know that one James’ go-to effects is the KLON Centaur overdrive pedal. In fact, so important has this device pedal been in his sound that he still uses this pedal today despite having a massive rack of high-end electronic technology at his fingertips. Original KLONs are extremely rare and expensive, some of them being sold at $2500 or more. As a result several manufacturers have tried, with varying degrees of success, to reproduce the classic Centaur tone. 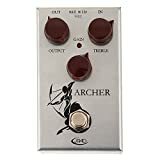 According to music magazine The Deli, the Archer is one of the few recreations that includes the Centaur’s “secret sauce” the same NOS germanium diodes used on the original. This is THE Kirk Hammett guitar. It has the LH-301 active pickups and electronics, it has the Floyd Rose tremolo, it has the rosewood fretboard and solid basswood body, it even has the skull and crossbones position markers. Not much more that you can say about it other than this guitar is a metal machine. OK, this one was pretty much a no-brainer. 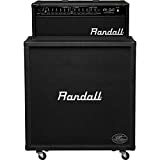 How much more Kirk Hammett can you get than one of his signature Randall amps? This amp is the real deal. Granted, it is a solid state amp, but it does have good tube emulation technology, two channels, and believe it or not, spring reverb. For those unfamiliar with spring reverb, also known as a reverb tank, is old school technology where the amplifier signal is split into two paths, one path going directly to the speaker and another routed through a series of springs, which delays the signal. The resulting sound is a mixture of the two with a longer decay time. This results in a more “organic” reverb than digitally created reverb. This amp also has plenty of power. With 75 watts you won’t struggle to be heard. Kirk’s rig is pretty spare, but of course we need to look at getting a wah pedal. For this, we’ll go back to the V-845. It sounds great, it’s reliable and the price is very reasonable. For over $1000 you really could do anything you want, but we need to keep in mind that our readers are not rock stars – at least not yet. Given that our dreams are usually a lot bigger than our bank accounts, we’ll keep the price below $2500. This still gives us a lot of flexibility in what we can do in terms of guitars, amps and effects. Now we’re talkin’. For the ultimate James Hetfield rig, this is the guitar for you. It has the classic Explorer body shape, EMG 81/85 active pickups and an awesome metal tone. With a mahogany neck and mahogany body, this instrument is rock solid. Here is the 1984 Explorer EX in action covering Metallica’s For Whom the Bell Tolls. Here we were looking for a good tube amp that would accurately replicate the best of the Mesa Boogie Triple rectifier, Diezel VH-4 and Marshall JCM 800 amps. Plus, we wanted to do all that at a price that won’t bust the budget. After doing some research, we came up with the B-52 ATX 100. This all-tube three channel 100 watt head carries the same compliment of 6L6 power tubes and 12AX7 preamp tubes that drive the other three amps. The clean channel is crystal clear while the overdrive channel features two gain stages so you can get that chunky crunch necessary for that thrash metal sound. 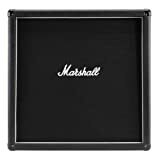 Of course, you’ll need a cabinet for the head and you can’t beat a classic 4x12 Marshall cabinet. This cabinet is loaded with “silver back” Celestion G12E-60 speakers. The MX412 is both classic and timeless. 31.1 x 15.2 x 31.8 in. 31 x 31.97 x 17 in. 18 x 34 x 31 in. The Nova System is a floor-based analog overdrive/distortion with a G-System multi-effects processor. This device has most of the same features of G-Major 2 rack mount processor used by James in an onstage pedal board to give you total control over your effects and sound. It has 30 factory and 60 user presets and 6 Built-in effect blocks taken straight from G-Major. The KH602 is the same instrument Kirk Hammett uses onstage. The EMG 81 and EMG 60 active pickups, Floyd Rose tremolo system, reverse headstock and skull and crossbones inlays. Alder body and slim taper neck. 24 fret 25.5” scale length with rosewood fingerboard. The 2 channel/3 mode amp faithfully replicates the 80s/90s vintage overdrive, modern overdrive and clean mode to cover all of Kirk’s tones over the years. 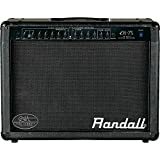 Has spring reverb and solid state power amp for durability and reliability. 120 watt output to handle everything from small clubs to stadiums. This is where it all happens, the command center for the entire rig. Of course, Kirk’s touring setup has a variety of rack effects and switching, but with the budget in mind, the POD HD500X multi-effects processor is just the ticket, particularly since Kirk already uses Line 6 delay and modulation in his tour rig. The POD HD500X offers over 100 different effects, allowing you to play up to eight of them at any one time. It has an integrated wah pedal allowing you to select from nine different types of wah. This device has it all. Now that you have the gear, you’ll need to dial in the tone to get the sound you want. This is where we come back to the evolution of the Metallica tone that we discussed earlier. For the Bargain Rig and Intermediate Rig, you may have to work a little harder to get the tone dialed in because we don’t have as much gear to play with. The effects included in the modeling amps will help greatly with that. For James’ sound, you will definitely want to include some overdrive/distortion for the rhythm parts (you’ll need to dial that back when you want a clean tone). You’ll also want to include some Phaser and Chorus, but not too much. You’ll have to play with it to get it where you want it because every amp is different. I would say no more than about the 9 o’clock position on the knob. For Kirk’s tone, you’ll probably want to add some overdrive/distortion for the chunkier overdrive channel while the clean channel will need to have some delay, ring modulation, octaver and some phaser for that soaring lead sound. With the Tribute rig, you have a lot more flexibility because of the multi-effects processor and the presets it offers. You can play with it while you’re off the road and set the effects exactly where you want them to recall later. It definitely pays if you can fit that into your budget. The Cliff Burton period was characterized by straightforward thrash and took advantage of the heavy Marshall amp sound. The midrange frequencies were very scooped (i.e., practically absent). For James’ heavy rhythm sound the gain was set high at around 7-9. The bass was set somewhere in the middle between 4 and 7 and the treble maxed out at 9-10. The mid-range was almost completely non-existent with the amp set at 0-1. For Kirk’s clean lead sound, the gain was set lower somewhere between 5-7. The bass and treble were also set from 5-7 and the mids were a little higher at 1-3. The Jason Newsted era featured some more experimental music. Tunes like The Struggle Within from the Black album had an almost 80s glam metal vibe to it that suggested the band was willing to play with amp settings and even let a little mid-range into the picture. For James a typical amp setting for this period would be to take a little lighter touch with the gain and have that set at only 6-7. The treble would be set anywhere between 4-7 depending upon the song, but not the maxed out treble that we saw during the Cliff Burton period. The mids were a little still set in the 0-1 range. Kirk also tended to back off on the gain, leaving that set at around 2. Bass and treble would have been set in the 4-5 range. The midrange had a wider range for Kirk at this time, depending upon the song, setting it anywhere from 0-4. During the Contemporary period, again we see them playing around with the amp settings some. A lot of this had to do with the choice to use the first the Mesa Triaxis, and later, the Fractal AxeFX preamps where amp settings could be pre-programmed in and recalled for individual songs. This made it easier to play with the tones without having to worry about re-dialing in the tone for every song. A good rule of thumb for James’ amp settings for this period are to set everything, gain, treble, bass and midrange all at the 5-6 range. Kirk’s clean settings were almost identical with all controls set at the 5-6 range except the gain, which, as usual for a clean tone would need to be turned down to a 2-3. Metallica has always been notable in that they never have used many effects. In fact, early in their career, James only used boost devices such as the Ibanez Tube Screamer and ProCo Rat distortion. Even at their sound evolved, there were only a few other effects added to the basic signal chain, such as the MXR Phase, Digitech Wammy and Dunlop wah pedal. Once James acquired the G-Major system with multiple onboard effects, it rendered most other effects redundant. One pedal James has refused to part with, even with the G-Major, is the Klon Centaur overdrive. With the modeling amps we presented, you should likewise be able to replicate the signal chain of both early and more contemporary Metallica sounds. Similarly, in the Tribute rig, the Nova System will fill in quite adequately for the G-Major system, particularly since the technology is nearly identical. Early on Kirk’s use of effects was even more sparing than James’. The one effect that he has used consistently throughout his career is the wah pedal, and he has used several different makes and models. Kirk also uses the G-Major 2 system for multi-effects processing. At the present time, he also uses Line 6 delay and ring modulator, as well as MXR Flanger and Octaver. As with the James’ equipment the amps we use for the Bargain Rig and Intermediate Rig are modeling amps that include the necessary effects to replicate his effects chain. With the Tribute Rig, the Line 6 POD HD500X contains the delay, modulation, flanger and octave effects all in one package, as well as an integrated foot pedal for the wah effect. Of course, the real trick to truly getting James’ and Kirk’s sound is practice. The best gear in the world is no substitute for that; but hopefully you found this guide informative and entertaining, and at least a good starting point for you to get Metallica’s sound with your own gear. We’d like to hear if you have your own current gears. Please give them in the comment section below.